Store closings are not generally employed as a strategy for improving customer service and building customer loyalty by most of the largest U.S. retail chains. So, when Starbucks boldly closed all 7,100 of its stores for three hours in February 2008 to retrain its baristas on how to create a Starbucks branded customer service experience, Howard Schultz and the Starbucks senior management team captured the attention of business leaders around the world. This closed-store training strategy from Starbucks would be considered a demonstration of a drastic commitment to a branded customer service experience under any circumstances. But in February 2008 in the midst of the Great Recession retail meltdown, it was a shockingly unthinkable strategy that was widely criticized. With an average of 20 employees per store, the cost to Starbucks was a staggering 426,000 man hours, more than $3 million in wages, and 21,300 hours of lost customer revenue at the time. That’s what a TRUE customer service commitment looks like. Years later, we have the luxury of hindsight to help us assess whether that Starbucks training day store closings strategy actually paid off. Does customer satisfaction really drive sales? Can a superior service experience actually create a loyal customer base? Is customer loyalty a real phenomenon or is it an illusion that is abandoned when the next best or next cheaper thing captures a customer's attention? After watching consumers drastically change their buying patterns in reaction to the Great Recession of 2008 and 2009, these are not easy questions for the U.S. retail industry to answer even years later. The retail chains renown for their fanatically loyal customers like Starbucks, Nordstrom, and Whole Foods were surprised to find out that either customers abandoned their retail loyalties a little too easily, or their loyalty was never that real or that deep to begin with. Customer loyalty became one of many aspects of the traditional retail experience that retailers were forced to redefine. When customers are no longer queued up for a premium-priced coffee, apparel, and vegetables, is there any combination of customer service tricks and training that can help a retail chain that depends on fanatically loyal customer advocates to regain its customer loyalty magic? Shortly after the much-criticized closed-store training day, I found myself standing in a Starbucks queue (albeit a comparatively short one) and my observation of one customer interaction answered many of today's most difficult retail customer service questions for me. Barista girl walked away to make the tall latte, and Customer Lady said to her friend, “I can’t believe she remembered that. I haven’t been here in FOREVER!” That was followed by more details about her recent activities, which caused her friend to smile, and nod, and listen politely. One overlooked reason why a customer service moment like this is so important in a retail business is because of the impact it makes on every person within observation range. Customer Lady was impressed. Customer Lady’s friend was impressed. I was impressed. And the 23 people who will undoubtedly hear the recounting of this Starbucks service moment from chatty Customer Lady will be impressed too. 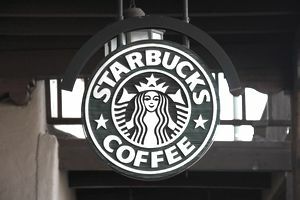 It took 21,000 hours and several million dollars for Starbucks to prove to its employees that it was serious about the Starbucks-branded customer experience. If the transaction I observed in the Starbucks that day is duplicated even once per day in the 22,000 Starbucks stores around the globe today, then I don’t think the company should regret even one minute or one penny of what was spent on the dramatic retraining effort it staged in 2008. Years later, as I was updating this article while sitting in a different Starbucks location, I glanced up to see a Starbucks barista sharing a high-five with a customer across the cash register. I have no idea what that particular customer moment was all about, but I do know that customer high-fives are not commonly exchanged in retail restaurant chains. I also know that Starbucks baristas obviously still get the value of a meaningful and memorable customer service moment. Customers have always known where they could get a cheaper cup of coffee. But Starbucks has never just been about coffee for the vast majority of its customers. It's about the experience surrounding the cup of coffee. The Starbucks branded experience gives the Starbucks brand enough retail relevance to double the size of its global chain in just seven years following its radical close-door training day. Customer service mission accomplished. Every retail chain has fair weather customers who identify themselves with price-driven brand switching behaviors. These are not the customers that Starbucks or any retail chain should focus on when working to build customer loyalty. Rather, in the age of the empowered customer, more than ever Starbucks (and every retail and restaurant chain) needs to continue to be who they are in order to prove to repeat customers that their loyalty is well placed. In the toughest of retail environments, if retailers choose to create profits by cutting expenses, and in the process, cut out their own personality, their identity, their heart, and even their principles, then a different question about loyalty is raised... Who's abandoning whom? So far, despite every challenge in the retail coffeehouse niche, the restaurant industry, and the economy in general, Starbucks has continued to be Starbucks. And customers around the world have proven that the Starbuckishness of Starbucks is still a valuable part of their day. To me, that is a bigger measure of success than the number of storefronts on any one quarterly balance sheet. The value of creating a superior customer experience is not just found in short-term financial metrics. There is also value in the quality of your creation and the firm foundation that provides for building enduring customer relationships. By remembering that, retailers will remain loyal to their own essence, which is something that genuinely loyal customers will recognize and appreciate. Fickle customers come and go. The most enduring brands and the most admired retailers realize that and are building loyalty by keeping the trust of the customers who are truly true blue. Those are the customers who deserve the best a retailer has to offer. And those are the types of customer relationships that are worth closing stores for.